Under the not-so direction of its fancy new showrunner, Jesse Alexander, 'House on the Rock' kicked off Season 2 with a premiere that felt as much like an ending than a beginning, concluding season one's arc with Shadow and co. reaching their destination of House on the Rock. This is very befitting as Shadow's fortune did read, "every ending is a beginning" - literally with the placement of this episode, but also pertaining to the character's new life since being brought into the world of Gods following his imprisonment and the death of Laura. The showrunner of American Gods had changed to, well, nobody with the supposed sidelining of Jesse Alexander, but the look and feel of American Gods thankfully have not. The rich, colourful, and vibrant cinematography remains one of the calling cards of this Amerian Gods adaptation. So too the quirkiness in dialogue and its larger than life characters. The titular setting of the episode was perfect. The House on the Rock, with all of its fascinating, almost breathtaking absurdities, seen in every nook and cranny of the place really defines the magic and awe of this larger world of American Gods we had been brought into. The Wisconsin attraction is treated almost like a character in the episode, with a brief rundown of its history in a wonderfully written narrative and then some asides spoken by Nancy who hilariously described the creator of the House as a "skinny, white motherf******." The story of the Season 2 premiere was simple enough. Wednesday, Shadow, Laura, and Mad Sweeney make their way to the titular destination, where the former two meet up with the other Gods at a summit in Odin's mind. The whole carousel room transportation was trippy as hell and Nancy's retort, "what f****ing carousel!," when Shadow asked about it was hilarious. In fact, Nancy as always had the best lines in the episode, giving stories and stories within stories to get his points across, as well as being the one to kick start the summit with a rousing speech. The meeting itself was visually stunning showing us the Gods in their true forms. We got to meet Mama-Ji, the Hindu God of War played by the perfectly cast Sakina Jaffrey, who we learn is against this war Odin hopes to wage, and instead would like to wait it out until the people move on in their beliefs. One of the big changes from the book to the TV show is the role Shadow plays. In the book, he was merely a spectator, but in this adaptation, we see Shadow conclude the summit confidently declaring his belief in Odin and his cause. This was a positive change as it really set up the importance of Shadow to the narrative, that of which, we are still not entirely sure of. The ending that saw bit character Zoroya get killed off during an assault on the Gods' celebration was unexpected, but it allows growth for Czernobog, who now has a personal reason to join the war rather than just having lost a game of checkers to Shadow. The episode also updated us on the going on's of the antagonists where it is revealed that Mr World is looking to control and see his enemies through the eyes of Argus, which in mythology is a 100-eyed giant. Meanwhile, Tech Boy is tasked into finding Media - Gillian Anderson will be missed in this role, but I'm hopeful Kahyun Kim as New Media will be as devilish. 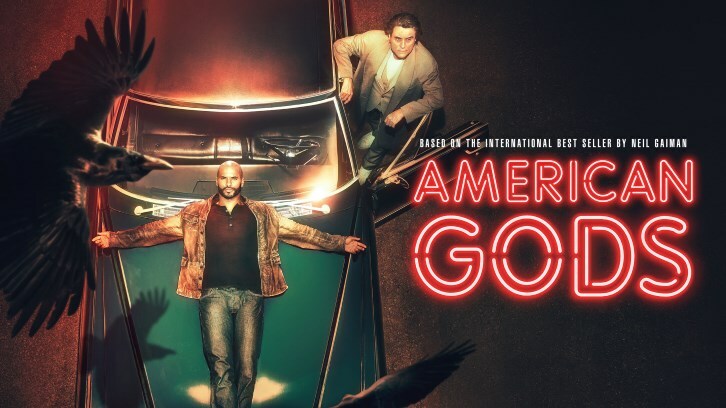 Overall, 'House on the Rock' brought viewers back into the world of American Gods, getting us re-familiarized with its vibrant characters after a way too long hiatus. 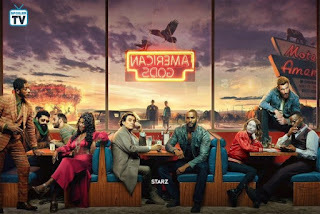 The episode had all the magical flourishes both visually and in writing that made Season 1 so memorable while pushing the narrative forward in a new exciting direction. What did you think of 'House on the Rock'? Vote in the poll below and leave your thoughts in the comments!